Shop online for 1 hobbyeng toys and games at discounts up to 22%. 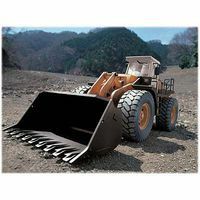 This is the 1/12 Scale 27.145MHZ Wheeled Loader Multi-Function Electric Powered Construction Machine from Hobby Engines. Suitable for Ages 8 & Older.